By Tim Buckley and Simon Nicholas*. The analysis below on the issues facing Eskom, South Africa’s national electricity utility, has been extracted from an October 2017 study by the Institute for Energy Economics and Financial Analysis (IEEFA) entitled: “Global Electricity Utilities in Transition: Leaders and laggards in 11 case studies”, by Tim Buckley, IEEFA director of energy finance studies, and Simon Nicholas, IEEFA energy finance analyst, with input from Dr. Grové Steyn of Meridian Economics, and Jesse Burton of the Energy Research Centre, University of Cape Town. In recent years, South Africa has run a successful but limited renewable energy procurement program. Renewable energy capacity of 2,2 GW has been completed to date, attracting more than $14bn in investment. Eskom, unfortunately, has recently stonewalled on this front, refusing to sign the deals while claiming that renewable energy is too costly. The company makes this assertion in spite of the fact that Eskom has benefited financially and operationally from its renewables program. One clue as to why the utility is resisting is that Eskom has an institutional commitment to a major coal generation build-out in the face of a declining South African electricity market. 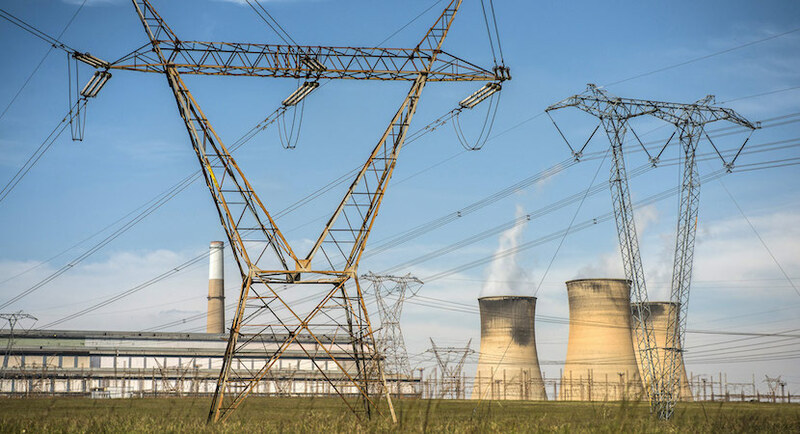 The utility is building two huge coal-fired plants, Kusile and Medupi, each with 4.8 GW of capacity and at a combined cost to completion estimated at R448bn ($34bn). Expansion of competing renewable energy will further increase the utility’s coal-fired over-capacity, which is slated to grow needlessly as Eskom add another 8 GW of capacity by 2022 when all Medupi and Kusile units come online. Eskom’s growing overcapacity and its failure to grasp the role of renewable energy in the new energy economy places the utility at serious financial risk, especially since its hugely expensive new coal plants must be paid for regardless of how much electricity the utility can sell from them. 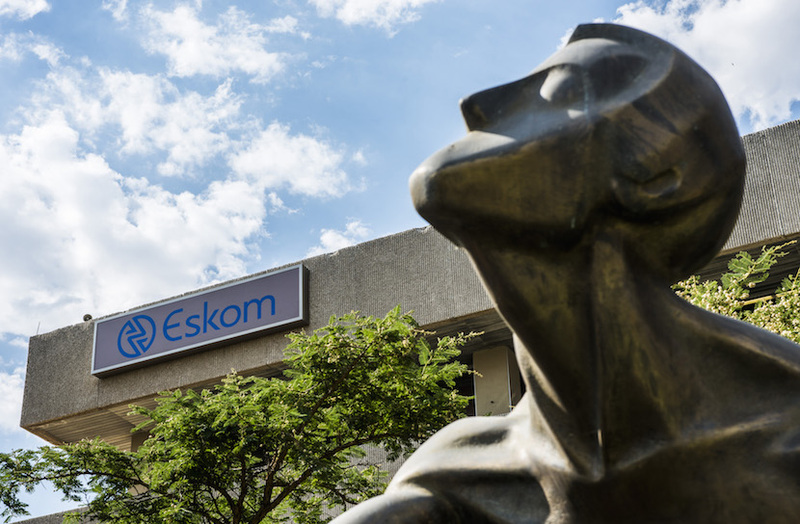 Eskom reported total debt securities and borrowings of R355bn ($26.8bn) in its March 2017 annual report, with finance costs increasing 82% to more than R14bn. In addition, R18.2bn ($1.4bn) of deferred finance costs relating to continuing project construction were capitalised, a figure that dwarfs the net profit for the year of just R888-million (US$68,3-million). In its latest annual financials, Eskom also reports an 83% decline in net profit to R888m ($68.3m), on an asset base of R710bn ($54.6bn). This has meant significant value destruction for shareholders, which in essence are households and business in South Africa. These results are complicated by a threat by the Development Bank of South Africa to recall a R15bn loan. Barclays Africa and Rand Merchant Bank are also seeking more accountability from Eskom. In addition, a R2.4bn ($184m) loan from the New Development Bank (formerly the BRICS Bank) has been put on hold, and the only New Development Bank loan to South Africa so far was meant to finance transmission lines to connect new renewable capacity projects (even though Eskom’s anti-renewables stance has stymied completion of the loan until 2018). 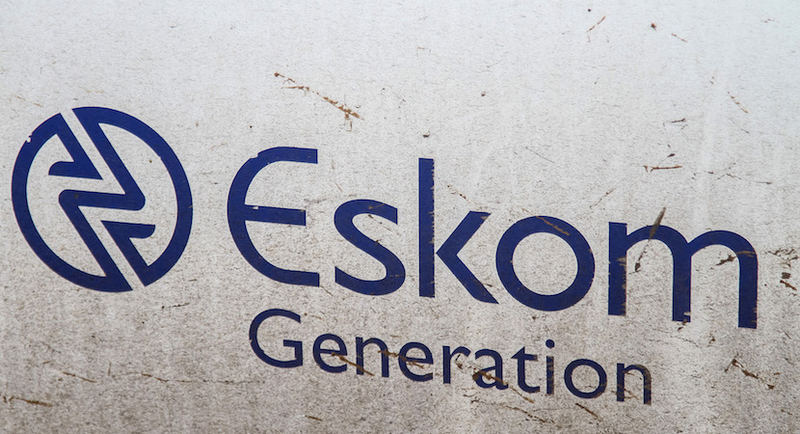 Eskom has said it will take on an additional R327bn ($25bn) of debt up to 2021. With its debt set to double, then, over this period, the utility’s interest expenses will also see a significant increase. As electricity demand declines and as renewables take up market share, Eskom stands a good chance of generating too few sales to be profitable. Furthermore, because the South African government has provided guarantees on Eskom debt of R350bn ($27bn), of which R210bn ($16bn) has been drawn down, Eskom is in position of slipping into a default that would create a major burden on the state. This would only worsen the problems the South African economy faces already for being so dependent on Eskom electricity. The rise of rooftop solar is creating additional trouble for Eskom. South African rooftop solar stands to grow by 8 GW of capacity over the next decade, further eroding the utility’s sales. Eskom could respond by increase electricity tariffs, if the government allows it to, and it may begin to address its overcapacity problem by closing older generating capacity in favour of expensive new plants. Such moves would only undermine Eskom’s assertions that coal-fired electricity is the affordable alternative in South Africa. Eskom’s campaign against renewables and its insistence on building out coal-fired capacity in a market with declining demand will see Eskom’s borrowing and interest costs balloon, eliminating profits and crippling the utility’s ability to generate cash. Efforts by Eskom to rectify management missteps through large tariff increases will mean yet more financial pain for the South African public, for whom electricity prices have quadrupled since 2007. Eskom has stated that its financial ratios will improve over the next few years, letting the company achieve an investment-grade credit rating within five years. There seems to be little in the way of fact to support this narrative, though. In April 2017, Standard and Poor’s downgraded Eskom’s foreign and local currency long-term corporate debt, moving it deeper into junk status, to B+, with a negative outlook on concerns that the South African government’s ability to support Eskom’s huge debt has weakened. Moody’s downgraded Eskom to the second rung of junk status in June 2017. The above analysis has been extracted from an Institute for Energy Economics (IEEFA) study entitled: “Global Electricity Utilities in Transition: Leaders and laggards in 11 case studies”, and is extracted and published with permission. For references, please refer to pages 37, 38 and 39 of the complete study report. Tim Buckley is IEEFA’s director of energy finance studies, Australasia, and Simon Nichols is an IEEFA energy analyst.